In Ancient Greece cubes were a popular game. Homer mentions that the Achaean hero Palamedes invented cubes to keep the besiegers of Troy occupied in their free time. Cubes played an important role in the art of prediction. 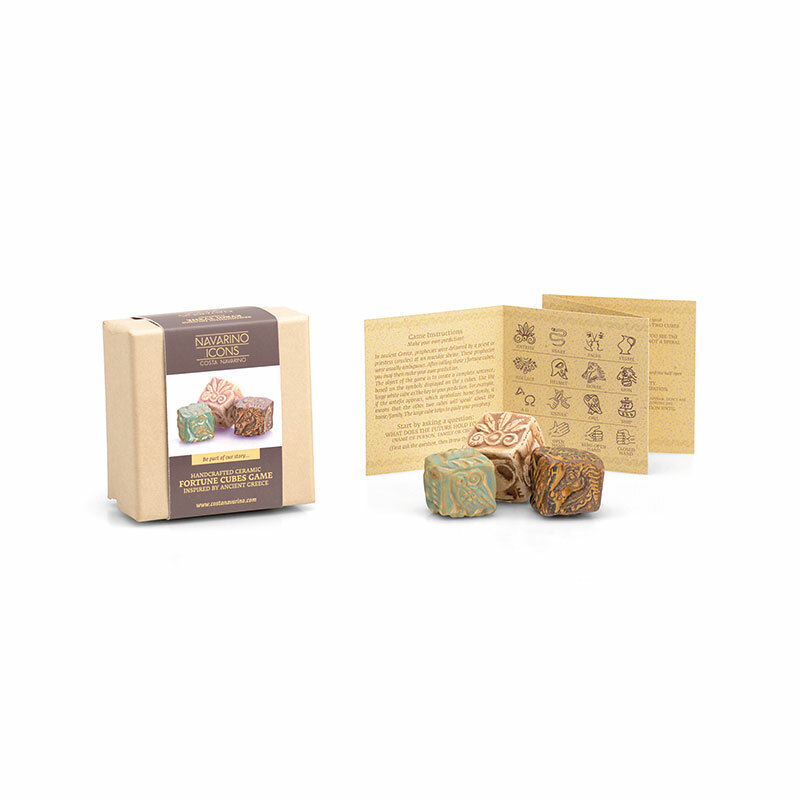 Cubes are marked with symbols inspired by Mycenaean culture, related to Family, Love, Power, Wealth, Luck, Wisdom, Conflict. The Game comes with Instructions. ELEON is made exclusively from single variety olives, the acclaimed Koroneiki variety, grown in the seaside groves of Costa Navarino. The love of animals in life and death was a very important aspect in the ancient Greek world. This ceramic horse figurine was inspired by grave findings of the Mycenaean era, in the Peloponnese. Games with dice were played since ancient times.